The room 101, the last one in the Uffizi Gallery path, is dedicated to Guido Reni (1575-1642). Reni was a painter from Bologna. He is considered one of the greatest exponents of the 17th century Classicism. 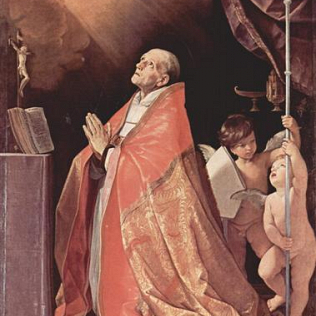 Guido Reni had great success in his lifetime. His quest for ideal and classical beauty was inspired by Raphael\'s work. However, in Reni\'s early career, Caravaggio had an important influence on his work. During the seventeenth century, he was very much appreciated, because of his ability to bring together classicism and realistic necessities demonstrated by Caravaggio. In the Uffizi room dedicated to the Emilian artist three of his works are on display. The David with the Head of Goliath shows the important influence of Caravaggio. The painting opens the visit to the room and places it in connection with the previous ones, dedicated to Caravaggio and to Caravaggesques. The so-called Madonna of the snow and the Ecstasy of Saint Andrew Corsini (painting which arrived at the Uffizi in 2000 and previously exhibited at the Galleria Corsini) represent the later stages of the production of Reni. Especially in the Ecstasy, there are less references to reality and the saint is placed in an ideal world, face to purity.